The weather in Birmingham can be unpredictable at times (hello early spring! 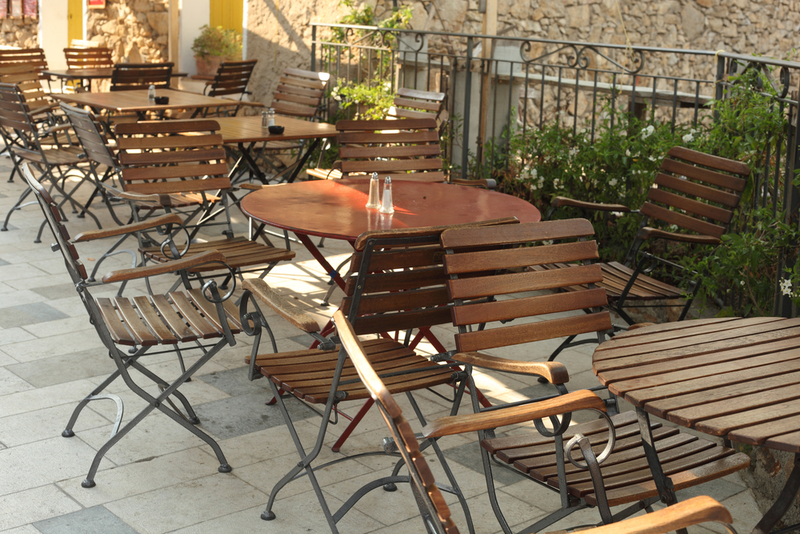 ), but nothing beats a cool breeze and a glass of iced tea as you enjoy your meal outside. There are plenty of Birmingham restaurants with the option for dining al fresco, and many have great views to match their menu. Despite being right off of Highway 280, The Summit is home to quite a few Birmingham restaurants with fantastic views. Chuy’s sits higher up than other establishments, and has a stunning view of the sunset. The Cheesecake Factory and Urban Cookhouse also have outside seating areas for those looking for ambiance. Homewood is a lovely area for shopping and walking around, with many restaurants that offer al fresco dining. Zoës Kitchen is a popular to-go option, but the patio is perfect for lounging around and having a lunch date. Real and Rosemary also has adorable café style seating outside, for an international feel in the middle of Homewood. In downtown Birmingham, there are plenty of options for outside dining. Trattoria Centrale offers delicious brunch that can be eaten under their cozy awnings. For something a little more casual, Paramount has a selection of burgers and beers perfect for enjoying under the sun. For trendier Birmingham restaurants, Avondale has options like MELT and Post Office Pies. MELT‘s covered seating area allows you to eat outside despite the weather, while Post Office Pies carries some great local brews to add to your outdoor meal. The historic district of Birmingham has plenty of beautiful architecture to see, and the restaurants in the area don’t let their customers miss out on it. With more upscale options such as Bottega, you may pay a little more for your food, but the view is well worth it. All images courtesy of Shutterstock.